Spacebomb, an independent studio / record label in Virginia, is one of the most exciting developments to hit the music industry in recent years. Its philosophy is old-fashioned but surprisingly refreshing; channelling legendary studios like Stax and Motown, Spacebomb has gathered together a talented house band to use on its recordings. The result is some fantastic music and a palpable air of authenticity. Perhaps the concept works so well, in part, as a reaction to the prevalence of electronica and home-made music. In an era where anyone can make a recording on a laptop, setting up a big studio for emerging artists (that even comes with its own band) probably shouldn’t work, but it really does. Founded by Matthew E White, the label launched in 2012 with his debut album, Big Inner; this recording was intended to merely showcase what the new studio was capable of, but went on to become a substantial critical success. 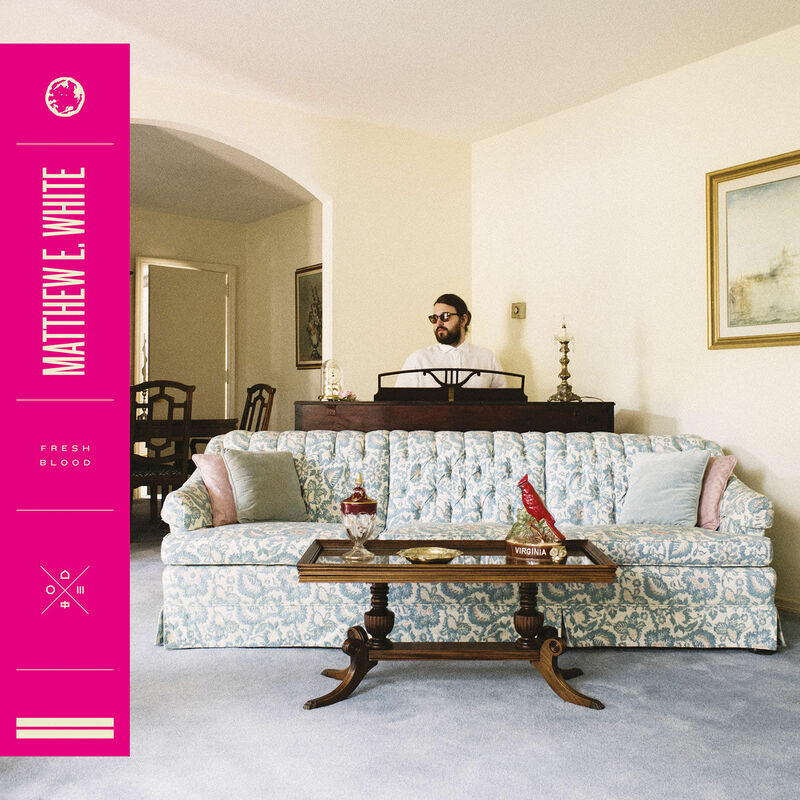 Moving forward to 2015 and Spacebomb has started the year with two first class albums: White’s follow up album, Fresh Blood and Natalie Prass’ self-titled debut, both demonstrating that the buzz around White’s first outing was no anomaly. It’s notoriously difficult to follow up an acclaimed debut, but White has managed to avoid the second album syndrome with a slick record that arguably surpasses its predecessor; a confident, focused work that uses brass, woodwind, strings and backing vocals to maximum effect in some lush and engaging orchestrations to get lost in. Couple this with some excellent song writing and the result is like what you might get if Bon Iver was backed by a Motown band. There’s a wonderful clarity to the production on the record and excellent use of dynamics, alternately delivering big moments and touches of genuine intimacy. It’s a slick package that mixes in soul, gospel and rhythm and blues. Unlike many albums, there is virtually no space between the tracks, giving the LP an urgent, dynamic feel. And keeping to the standard ten tracks of albums past (before there was a need for iTunes bonus tracks), makes for a lean product with no extraneous material. Kicking off in a Marvin Gaye style slow groove with the title track that celebrates the simple joy of romantic connection, things then get moving with the rolling piano riff of “Rock and Roll is Cold”, a catchy tune, wryly dealing with those daily prognostications about the death or rock music. It may be the lavish orchestrations that draw the listener in, but there are other reasons why this is such an outstanding record. Writing in collaboration with Andy C. Jenkins, White demonstrates acumen, subtlety and variation in his song craft, offering engaging character studies and tackling a range of issues that explore the agony and ecstasy of life. In “Holy Moly”, a powerful, slow-build of a song, he unleashes a righteous anger about church abuse, while managing to handle this deftly and with sensitivity. “Circle ‘Round the Sun” is a gospel tune with a twist. On first listen this appears to be a meditation on simple faith, but further consideration reveals it as a dark character study in the dangers of blind faith. Meanwhile, “Tranquility” pays moving tribute to the late Philip Seymour Hoffman, whom White never met but, like many of us, was affected by last year’s tragic news. Fresh Blood moves back into more optimistic territory in ‘Side B”, where many of the tracks explore the beauty of love, such as the sweet album closer “Love is Deep”, in which White fittingly references antecedents such as Marvin Gaye, Billie Holliday and Stevie Wonder. Given the retro style of the album, it’s an apt way to finish up. Posted in Music, Reviews and tagged album, Fresh Blood, gospel, Matthew E White, soul, Spacebomb. Bookmark the permalink.